Anyone who knows someone who smokes pot daily and also someone who drinks alcohol daily can tell which substance is more hazardous and leads to poorer decisions. It’s likely pretty clear the alcoholic’s quality of life would improve drastically if he substituted a toke of a joint for each drink. Such anecdotal observations have lead users to ask: can cannabis treat alcoholism? Sometimes it takes science and policy a little time to catch up with common sense, but there’s a growing movement to abandon the marginally effective abstinence-only models for alcoholism treatment with a more nuanced “drug replacement” approach. What is the Harm Reduction Movement? The Harm Reduction movement is a trend among some in the substance abuse treatment field to fight addiction incrementally, rather than demanding total abstinence as in traditional treatment models like Alcoholics Anonymous and Narcotics Anonymous. These are the folks who advocate methadone clinics for heroin users and are behind clean needle exchanges to prevent the spread of AIDS and hepatitis. “We believe that anyone can achieve a resolution of or improvement in substance use via a goal of safer use, reduced use, or total abstinence,” according to the mission statement of HAMS, a Harm reduction, Abstinence, and Moderation Support group. The harm reduction advocates within the medical community have been excited for years about the potential to treat alcoholics and addicts of other dangerous drugs with medically prescribed marijuana. The wave of pot legalization across the U.S. has provided these researchers with a crucible to develop statistics, theories and practices to substitute cannabis for alcohol in people who otherwise could die of alcoholism. Is cannabis safer than alcohol? Myriad medical studies and court cases have shown the behavioral, addictive, toxic, neurodegenerative and carcinogenic effects of alcohol, while marijuana studies show a much more benign effect. Marijuana use is an extreme hazard for narrow cross sections of people — those who may be predisposed to schizophrenia, for instance, or those with heart conditions, among others. And despite the general consensus among recreational cannabis users, marijuana can be addictive. Chronic heavy, non-medical marijuana use can cause all sorts of social and psychological problems, as well as rewire the brain. Nevertheless, marijuana is objectively far less hazardous to the health of its users and those close to them when compared with alcohol. Users should be mindful that mixing cannabis with alcohol (aka Crossfading) can be a dangerous cocktail. 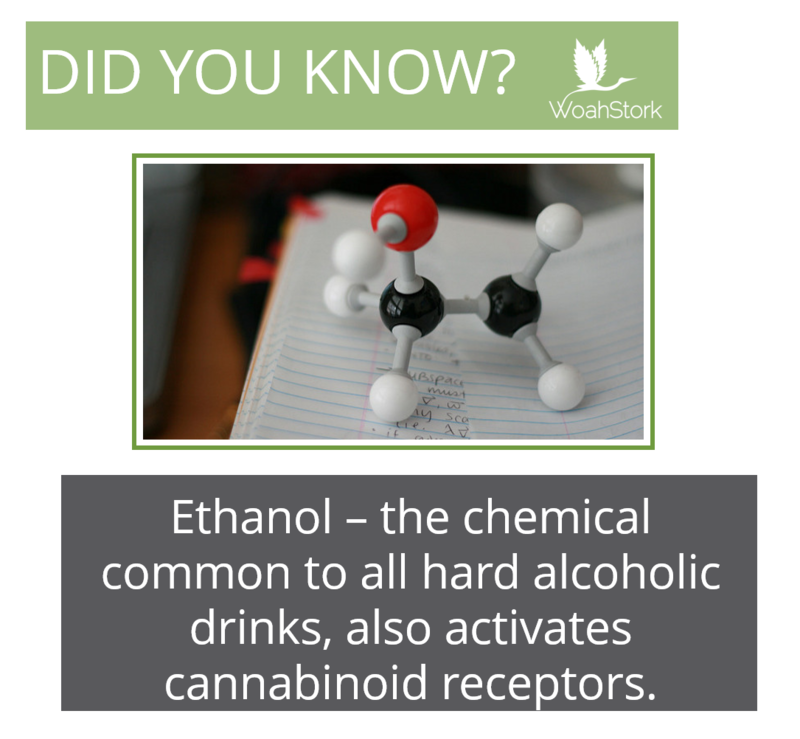 Ethanol and cannabis activate many overlapping receptors in the brain. This could be one of the reasons why alcoholics feel satiated by cannabis; it helps them achieve the same feeling that alcohol does. That being said, the body of research on whether cannabis is as good a substitute for alcohol as nicotine gum is for tobacco or methadone for heroin still isn’t adequate to start widespread prescription. Can cannabis treat alcoholism? The research is premature, but for those currently self-medicating, they cite a variety of different reason according to a study by Reiman (2009). But the research that does exist is promising. A 2010 study in Harm Reduction Journal looked at people who were in treatment for alcohol, opioid and other addiction treatment in California who were also taking marijuana by prescription under medical supervision. 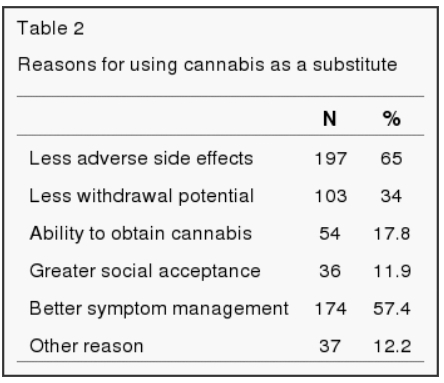 “In this small sample, cannabis use did not seem to compromise substance abuse treatment amongst the medical marijuana using group, who (based on these preliminary data) fared equal to or better than non-medical marijuana users in several important outcome categories (e.g., treatment completion, criminal justice involvement, medical concerns),” said study author Ronald Swartz. Indeed, despite the dearth of robust research, many people are already using marijuana to help control their addiction to alcohol and other drugs. Another study published in Harm Reduction looked at anonymous data from 350 patients at one Berkeley cannabis dispensary to see how they were using pot and for which conditions. Can cannabis treat alcoholism? The research is limited, but medical marijuana users have been shown to be more likely to complete their alcohol treatment, make satisfactory progress, and show marked improvement on other recovery measures. Alcohol abuse presents a huge cost to families, the health system, the criminal justice system, the economy and society at large. Because of this, marijuana advocates and many in the medical community are pushing for the kind of longitudinal, large-sample studies that could put to rest the question of whether cannabis is a viable treatment for alcoholism and other addictions. “The cost of alcoholism to individual patients and society at large warrants testing of the cannabis-substitution approach and study of the drug-of-choice phenomenon,” said Tod Mikuriya in the Journal of Cannabis Therapeutics. He conducted a small, exploratory study of 92 Northern Californian alcoholics who used marijuana as an alcohol substitute under supervision of doctors. “All patients reported benefit, indicating that for at least a subset of alcoholics, cannabis use is associated with reduced drinking,” he said. Great article! Timely! Some may be surprised to learn that AA’s co-founder, Bill Wilson, used LSD to help rid himself from his alcohol addiction. AA, an abstinence-only approach model, frowns upon this disclosure and does not reflect it in the literature nor in its 12 step program for obvious legal reasons and as it’s counter culture to its paradigms. 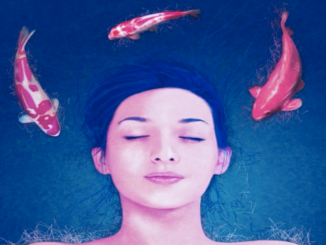 Being that both LSD and Cannabis remain federally classified as schedule I substances, surprisingly entheogens are gaining popularity in the scientific research community, and with the legalization cannabis spreading, I hope for the sake of those afflicted with alcohol abuse in their families that it will offer hope and relief from the grips of this disease.